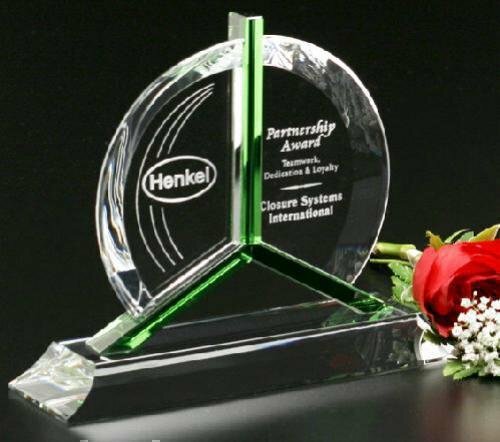 The Tribute Award is split into three distinct sections using bright green crystal. Adding color to this award gives it energy and a sense of purpose. Choose this award to honor corporate accomplishments with distinction.